Parkinson’s, Alzheimer’s, Lewy body dementia and Parkinson’s with dementia affect in excess of 700,000 people in the UK alone, but can be difficult to diagnose and differentiate as they can share similar symptoms – particularly in the early stages of the disease. ND-Monitor is a new test for these and other neurodegenerative conditions which can be undertaken quickly and safely in the hospital clinic, providing instantaneous feedback to specialists. Data gloves often used in the film and gaming industry, with positioning sensors, are worn by the patient in a simple test-grasp task. 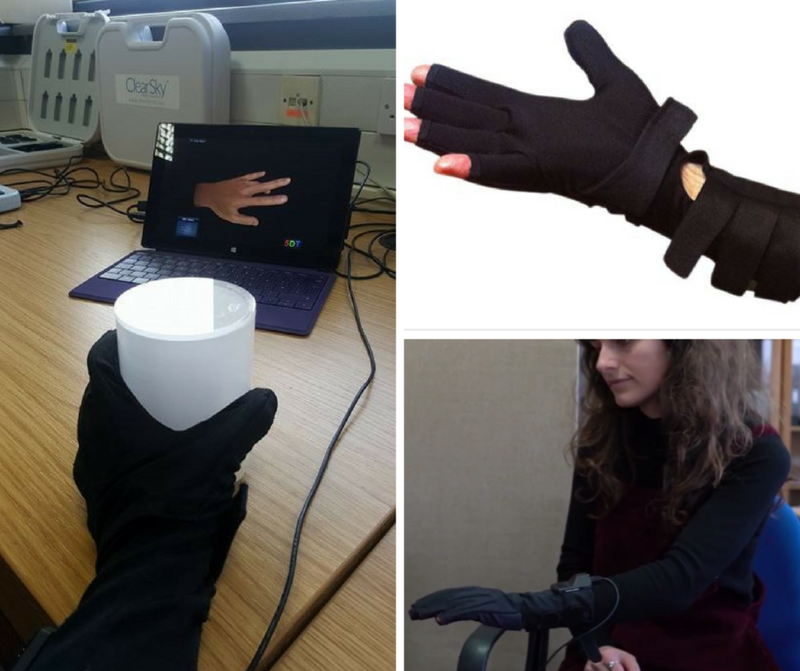 Information from the gloves is transmitted to a tablet computer and processed by biologically inspired algorithms trained to recognise differences in movements associated with a number of neurodegenerative conditions presented in a clear report to aid a specialist’s diagnosis.